New Zealand’s population is aging and because of this rest homes are becoming more popular and more of a necessity. Even though there’s huge demand for rest home care, at the same time the market is becoming hugely competitive with new aged care facilities being built all the time. We share our top tips with you on making the most of your marketing spend. It’s very important to make sure that as an aged care provider, you have the processes in place to manage the whole decision-making process and the communication that goes along with it. This starts when someone/ their family first contacts you. At this point, they become a prospect and you’ll want to follow up with some communication such as a direct mail or flyer inviting them to come along to an open day or come in to explore the facilities. You need to continually nurture this relationship and build trust. The communication doesn’t end when they become a resident, it needs to continue, throughout the whole time the resident is in your care. Now more than ever, your rest home needs a strong online presence. Almost everybody is online and connected these days – you’ll find a good number of your residents use the internet regularly and will be looking online to see what your rest home offers, in comparison to the competition. Make sure your website has relevant, up-to-date content, that is reviewed regularly. It needs to be obvious on your website what care levels are available, when a user first visits your website. It needs to be mobile friendly so that no matter what type of computer/device your prospect is using they will be able to easily find the information on your website applicable to them. Finally, you’ll want to make sure that your website is optimised so that your prospects will be able to find your website when searching online for aged-care facilities in the city and surrounding area. To strengthen your marketing efforts you need to have a strong sales person who has good knowledge about the rest home and the individual needs of the prospective resident and their family. They will become your brand ambassador will help you market your rest home as the preferred option. Find out more about marketing solutions offered by VCare. VCare Complete can assist organisations in reducing the time and physical burden of paper records with an intuitive electronic system. VCare and HCI had a great time at the Falls Prevention Conference at Royal Marine Hotel, Dun Laoghaire, Co. Dublin this month. We hope you found both your visit to our stand and the falls prevention conference exciting and beneficial. Eoin Cosgrove and Orla McMahon enjoyed showcasing the new VCare Observations application – VCare Any-ware, as well as our exciting new beacons. 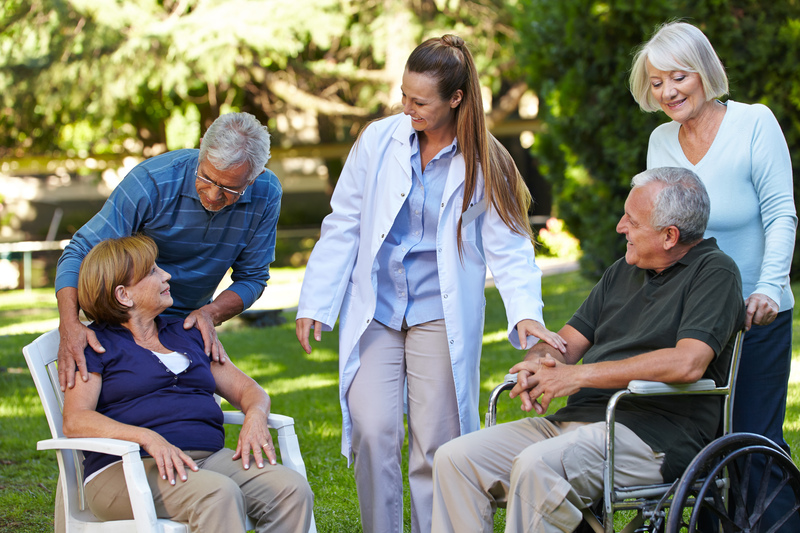 Caring for your residents – wherever, whenever you need it. VCare Any-ware is a cost effective application build to meet the demands of the Aged Care Industry. VCare Any-ware – giving you the tools so you can spend more time on the things that matter. Click here to request a free demo of the complete VCare solution or VCare Any-ware –our mobile observation application. The Driving Growth in Retirement Living Conference will be held on 24th and 25th of May at the Rydges on Swanston, Melbourne. 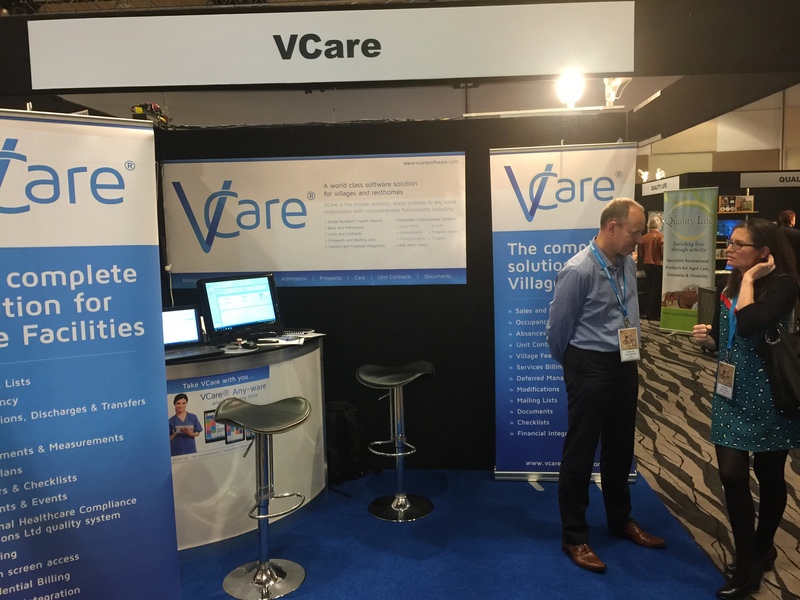 VCare International (VCare) are the leading company providing world class software solutions to the residential care and retirement village industry. Star Business Solutions (Star) are the primary distributor of VCare throughout Australia. Star have a proven track record of helping privately owned businesses and not-for-profit organisations. VCare and Star are proud to be sponsoring the Driving Growth in Retirement Living Conference. Integrating the Aged Care reforms into the design of your retirement villages. VCare will help you to manage administrative, marketing, billing, care and compliance needs efficiently so you can better cater to the needs of your residents and prospects. Not only will Norman and Ian be showing off the full VCare system, but they will also be showing off VCares new mobile observations and assessments applications – VCare Any-ware. No more backwards and forwards to your desk. Caring for your residents anytime, anywhere. Come and visit the VCare stand to see some exciting new mobile technologies. VCare International is pleased to be sponsoring the RVA Forum at Whitby Lakes Retirement Village later this month. David Henton from Confident communications and difficult conversations is the guest speaker at the forum. 11.00 am Welcome, NZACA CEO Simon Wallace outlines current issues the ACA is dealing with. David Henton from Confident Communications talks about conflict being a part of Life. Whenever people are together for any length of time, personal boundaries start to rub up against each other, different perspectives and attitudes clash; conflict occurs, and the need for negotiation arises. 2.10 pm General business, followed by a tour of Whitby Lakes’ new community facilities. We look forward to catching up with you all at the forum.